In 2014 the Centers for Disease Control and Prevention estimated that 1 in 68 children are have autism, and boys are four times more likely to be affected. There isn’t a single cause of autism, however, most scientists believe that it involves by abnormalities in brain structure or function. A recent study at the Drexel University in Stockholm has found strong evidence that there is a link between maternal nutrition and autism with learning difficulties in their babies. The study asked mothers of children aged between 4 and 15 years old if they took prenatal vitamins during pregnancy. They found that babies of mothers who took nutritional supplements during pregnancy were 30 percent less likely to develop autism with learning difficulties. 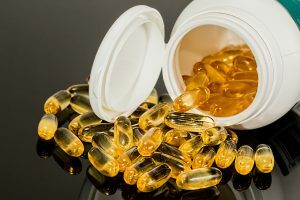 This type of study can only identify a link between taking supplements and lower rates of autism with learning difficulties. Therefore, the current nutritional recommendation for women who are planning to conceive, and women who are pregnant, remains unchanged. Women who are planning to have a baby or pregnant should try to correct any nutritional deficiencies and be aware of the importance of taking folic acid before conception and during pregnancy.